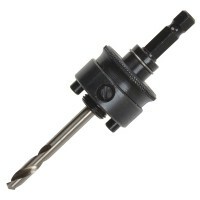 Starrett A10 Holesaw Arbor Features For holesaws from 32mm to 210mm. 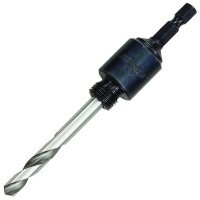 Shank size 8.7..
Starrett A15 Holesaw Arbor Extension Bar Features For holesaw arbor A1. 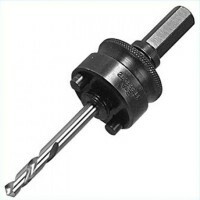 Length 12in..
Starrett A4 Holesaw Arbor Features For holesaws from 14mm to 30mm. 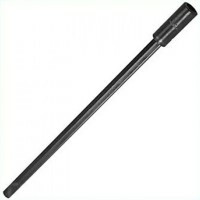 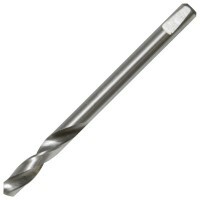 Shank size 6.5mm..
Starrett A5 Holesaw Arbor Extension Bar Features For holesaw arbor A2. 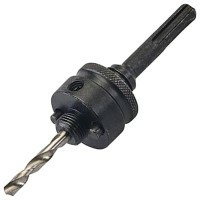 Length 12in ..
Silverline 590590 Holesaw Arbor and Pilot Drill Hex Features Arbor for use with 32mm - 15..
Starrett AO14C High Speed Steel Pilot Drill Features Replacement pilot drill for Starrett..
Starrett A2 Holesaw Arbor Features For holesaws from 32mm to 210mm. 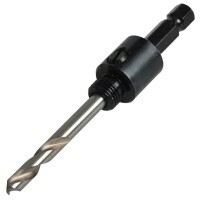 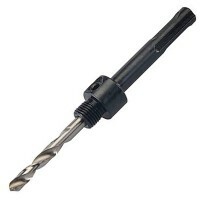 Shank size 11mm..
Starrett A1 Holesaw Arbor Features For holesaws from 14mm to 30mm. 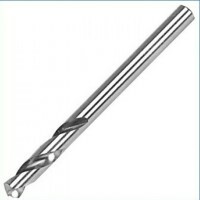 Shank size 8.75m..
Silverline 260332 Holesaw Arbor and Pilot Drill Hex Features Arbor for use with 14 mm - 2..
Silverline 273238 Holesaw Pilot Drill Features Holesaw pilot drill 1/4in. 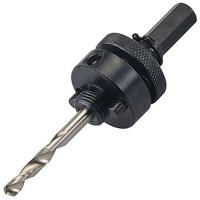 Spare pil..
Silverline 868533 Holesaw Arbor and Pilot Drill SDS Features Arbor for use with 14mm - 29..
Silverline 675054 Holesaw Arbor and Pilot Drill SDS Features Arbors for use with 32mm - 1..